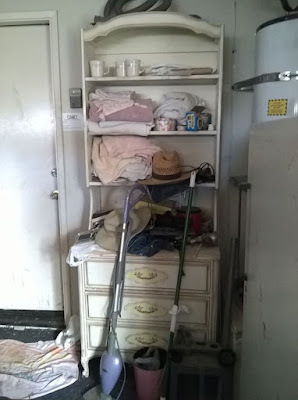 From My House : My game plan for the laundry room- today? My game plan for the laundry room- today? This week, maybe even this afternoon, I may start cutting in. My husband will start on the floor after I am done painting. I'm thinking, I can probably knock this out in one day. I am 62 1/2 but I also am a "painters daughter." My Dad was a successful Commercial Painting Contractor in San Francisco in the 60's and 70's - so successful he was able to retire in 1980 at the age of 46. He did residential sometimes, but usually big mansions for those he did their buildings. I grew up watching Dad mix paints- and back then, it was all oil based paint. Dad used to come home, put his overalls in lye soap and after he washed his hands, he would use butter or mayo to put on his hands and sometimes his face - getting all that oil-based paint off. And to soften his skin. Maybe he could of used a hand lotion, but that is the way he did it. Oh and a fun tidbit - My dad and his crew were in the background of many films in San Francisco. Remember Bullet with Steve McQueen? The TV show, Streets of San Francisco - and Dirty Harry movies. Some others I can't remember right now. We would always look for my dads trucks, or signs, or actual job sites. We sure got a kick out of that. The shelf will be taken down - and cut to fit above the door for a little more storage. It has to be high enough so that it doesn't "hamper" (pun) the opening of the door and no one bumps their noggin on it. 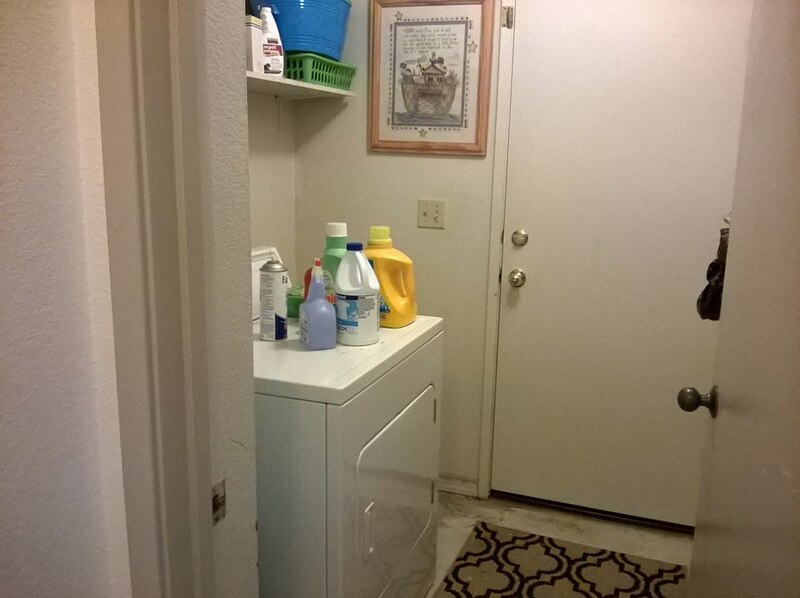 Hey, it's a laundry room. I've seen some with chandeliers in them. I just want mine, organized, clean and kept nice.